Today marks seven years since I had my heart transplant. I'm grateful beyond explanation for my extra time in this world. On this day, I want to talk about some of the impacts I've had in the last seven years. First off, let's discuss the broad impact that you see depicted on the right of your screen. In 2009 I visited ArenaNet for the day. It was a magical couple of hours in which I created an event for the core game of Guild Wars 2 that you can read about here. The event involved some merchants who were walking from the city Lion's Arch to the town of Black Haven. I named these merchants the Black Lion Trading Company. Today my mom gave me this shirt which you can easily purchase online. It's not like my mom had the shirt made because she's proud that I came up with a cool name, but the developers of the game officially licensed the shirt and sell this shirt to anyone with twenty-ish dollars. The broadest impact I have had in my life is working on Guild Wars. From naming the Black Lion Trading Company to writing the books in the Durmand Priory's Library, I've had an impact on the world of the game, the world that saved my life when I was dying and scared. The company that made me feel powerful when I was weak can now be proudly worn across my chest or your chest for the price of a dinner out. I still can't quite fathom why I was able to name the game's store, work at ArenaNet, or become a part of the lore for this game that has been played for over a billion hours, but I'm grateful I'm part of that impactful story. though, I teach real children. As much as I'm reflecting today on the huge, sweeping opportunities I've had in the last few years, I'm also thinking about how normal my life is right now. I'm in graduate school. 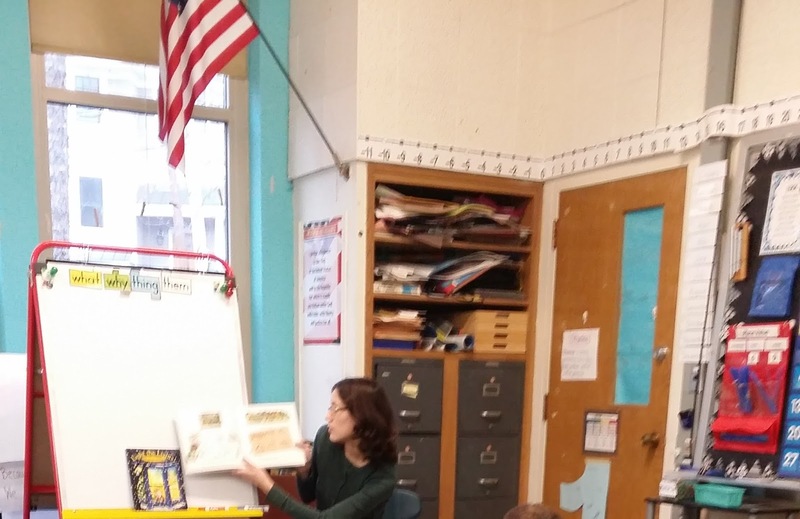 I have a full time internship teaching fourth grade. I have a family, roommates, a boyfriend, and a part-time job tutoring a struggling student. It's so average and so challenging. No one who works at the school knows I had a heart transplant even though I spend at least fifty hours a week there. They notice the deep impact I'm having on these small humans, but it's because I'm working hard to instruct them on weathering and how to be a good person and not because of any advantage I've had due to almost dying. My medical history is irrelevant when I'm Ms. Singer. To the ten year olds, my most important feature is my hairy eyeball when they are calling out and has nothing to do with my knowledge of computers or the cardiopulmonary system. I talk to them all day every day about growing up and how to be good readers. We discuss the most important things in life, like how to be a friend and what it means to be fair, but these students don't have any idea about how life isn't fair for me. I am changing these kids' lives and they're changing mine, but in a hugely personal, totally normal, way. I'm grateful for it all. I'm happy that I've been able to reach several million people in Guild Was 2 and I'm glad that I'm able to reach nineteen people in my fourth grade class. I know that if I wasn't saved by a stranger seven years ago I wouldn't have been able to do much with my life at all. Now, I'm off to celebrate my guild's tenth birthday and then write a lesson plan about quadrilaterals. What a life! Happy 5th anniversary. You have worked perfectly together and had no major issues. Cheers to many many more years of bliss. How can we thank you and your family enough for the selfless decision to donate your heart so that my best friend Emily could live. I am so grateful that you saved my best friend’s life and truly changed my outlook on life as well. Thank you for setting a great example of how organ donation can save lives. I remember 5 years ago when you went on the donation list for a heart transplant on your 16thBirthday. I tried to stay calm and strong on the outside but honestly I was so nervous inside. I was afraid I could lose my best friend. I remember Saturday January 31st 2009 I got a phone call from you at 7am. I knew something was up because you are never up that early unless you’re swimming. I picked up the phone and you told me you had a heart and you were going into surgery that morning. I wanted to talk to you more but you had to go prep for surgery and make a few more phone calls. I remember running into my parents’ room and yelling “Emily has a heart!” Then I just started to cry not knowing what would happen. I think it wasn’t till the next day that I got a text message from your mom saying you were ok. I checked the blog every morning to get the latest update. One morning I read about how you had received the package I sent including the fuzzy socks! I remember talking to you probably a week later but you were pretty well drugged up still. You came home in March and I was one of the few people allowed to come visit you. We spent hours hanging up paper cranes from your ceiling. They did add a nice touch to your room. I was happy to hear you would finish 10thgrade in time to move up the next year. It kinda would’ve stunk to be a grade ahead of you. We had many more adventures post-transplant including a trip to NYC to see Burn The Floor. We used so much Purell we probably could’ve had them sponsor our trip. I look forward to many more stories, trips, adventures, baking parties, and years of awesome best friend stuff. Always remember “At least it’s not a double lung”. You are like a sister to me. I’m proud of you. I love ya. Have a happy heart day! 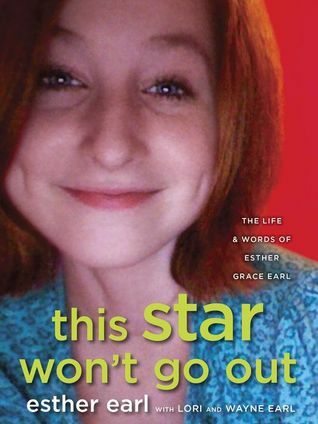 Yesterday Esther Earl's book This Star Won't Go Out was released. In a lot of ways Esther and I were extremely similar. She and I were at Children's Hospital Boston at the same time even though she was a lot sicker. She and I were dealing with pain, nausea, and migraines at the same time in the same hospital, but I didn't know her. She was a gamer who enjoyed playing competitive console games and multiplayer games. We both had a dream to become a writer. We both absolutely loved all books and in particular epic young adult fantasy like Harry Potter or the novels of John Green. Plus Ester liked Doctor Who, which just shows good taste. I identify a lot with Esther's story as a sick teenager who often felt "so guilty" and "useless." I think I would've gotten along with Esther Earl if I had known her and if she hadn't died. I wish I had known her because, everyone seems to think, "Esther has always been epic." I mean I can't guarantee we would have gotten along. Maybe we would have been too similar or I would've been put off by her trust in God and she would have hated my heathenism, but she seems so relatable to me. We could have talked about living, dying, and YouTube. I'm a little jealous of Esther sometimes. I shouldn't be envious of her because she was almost constantly sick, but she lives so much in her short life. She met John Green and Alex Day and had a lot of good friends who praise her, "profound capacity for compassion." I guess for those reasons I shouldn't be jealous of Esther; I should simply acknowledge my wish to be like her. John Green described her as, "a star [that] shines on our little planet." Everyone thinks she's internally gorgeous. Anyone who describes her notes something along the lines of her, "warm and understanding" nature. Esther says, "I'm not always awesome" and I'm sure she wasn't, but I think she was always good. I want to always love the people around me. I want to be more of a "welcomer" like Esther. I'm not enough like Esther yet, but the fictional character Esther inspired, Hazel, from my favorite book The Fault in Our Stars, is actually a lot closer to me. I guess everyone feels that way because almost ten million people have watched the trailer to The Fault in Our Stars movie, but I really, really feel like I'm similar to the fictional human Hazel Grace Lancaster. She is snarky and cynical and constantly worried about her imperfections, but kind and hopeful as well. I might never be able to be as much of an accepting friend as Esther Grace Earl, but I can be as open-minded as Hazel Grace Lancaster. In the amazing play Much Ado About Nothing Shakespeare has the great proto-feminist hero Beatrice announce that, "a star danced across the sky" on the day she was born. It may be narcissistic to see yourself as someone who matters. It may be incorrect to believe that our existence is important, but there are icons that people need to look to in order to be better. I hope that whether it is the real Esther or the fictional Beatrice or Hazel, people can look to the sky and see a special person who makes you feel like you can love your friends and family more deeply and thoroughly. That's something I want to do. I was observing a kindergarten class today. They were watching interactive movies about numbers and counting in the library for about a half hour. At the end of the fun math show all the kids were sad they had to go back to their regular day. One boy announced, "We should watch more movies! I want to see Star Wars!" I actually agreed with this boy and his assessment of the situation. A young lady responded, "What would the girls do?" I sighed. Another, different gentleman responded, "You could watch Cinderella or something in a different room!" with excitement. It took everything inside me to not stop the class. If it wasn't my first day with them and if I was more than just an observing pre-practicum student teacher I would've sat those six year-olds down and asked them why the girls can't watch Star Wars. I would have investigated with these tiny humans the gender biases that make geeky, nerdy girls everywhere feel ashamed. If I had any power over that class I would've stopped the whole situation. I would've done it gladly because somebody needs to tell the girls that it's acceptable to love a beautiful action-packed, romantic space opera and somebody needs to tell the boys that it's fine if they love fairy tales that make life seem easy and fun. I think it's hard to be a girl that is in love with SciFi and it's hard to be a boy that's excited about medieval princes and princesses. It's so challenging because even in Kindergarten everybody already knows the norms. I thought it started later. I thought you got to just be yourself until you were in elementary school, but I was wrong. Apparently, kindergartners already are acting out gendered activities. Isn't that depressing? 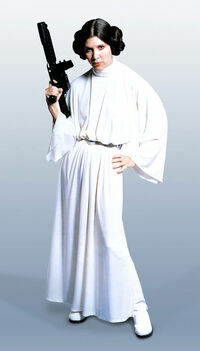 No one tells them that Leia gets a gun or that there are some pretty cool princes in fairy tales. I want to be that person someday. 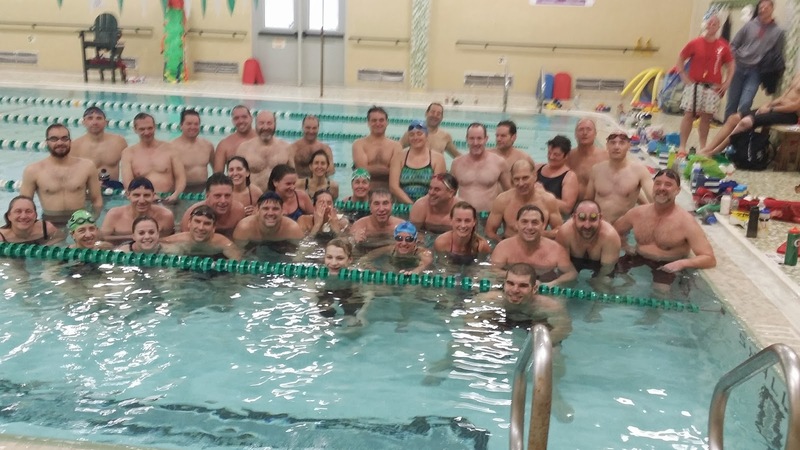 At 6AM on January 1st forty people gathered together to swim 10,000 yards. An observer might think it's a little crazy. They might wonder about this suspect group of individuals who would rather swim ridiculous lengths than drink with their friends. These people are not alone, though. For decades this event has been taking place. Years and years have been rung in by swimmers swimming long distance at the Glens Falls Family YMCA and I'm proud that I've had a little part in it even though I've never swum the actual distance. My participation has been to help make it fun. I make it a game. Jane McGonigal, one of my heroes, defines a game as anything with, "a goal, rules, a feedback system, and voluntary participation." That's the 100x100s. The goal is to swim a very long distance. It doesn't have to be 10,000 yards. Some people chose to do 5,000 or 7,500, but they don't just stop when they're tired. These people have a large goal set. The rules of the game are simple, but they are taken pretty seriously. You have to swim the laps on a certain interval. This year the coach picked 1:40. You have to swim 100 yards every one minute and forty seconds or you will mess up your whole lane. When you are doing the swimming you also have to answer a trivia question every sixth lap. It's an artificial limitation, to be sure, but a fun one. In the same way that golf wouldn't be fun if you could just put the ball in the hole the 100x100s wouldn't be fun if I weren't there as trivia master. I'm the question queen because it breaks up the monotony of a hard swim. It adds another layer of challenge to the participants of the game. Everyone loves a rule to make a game harder as long as the feedback system still encourages them appropriately. The feedback system tells players how they are doing. I keep track of how far they've swum and how many questions they've gotten right. They are always sure how close they are to their objective because I write on the board exactly how far they've gone. It provides the motivation to keep going. Everyone comes to the 100x100s voluntarily. They buy into the objective, the rules, and the feedback system. They know they are going to swim long and hard while somebody asks them obscure questions. It establishes common ground that everyone is playing the same game. They can enter or leave, but they are doing it because they are being intentionally stressed with challenging work in a safe environment. It feels great. In the past I've wondered about why I loved the 100x100s. This year was the first year I realized I love it because it's A GAME. I always love games. Anytime someone teaches me some rules and asks if I wantto buy into the artificial limitations I agree. I like supporting good game design and that swimming event is great game design. It's hard. It has many levels depending on how good of a swimmer you are because you can do 50s, 75s, 100s, or IMs. It's just brilliant. I hope I'm there next year to see people play the game again. Games make us better. They make us more fit, more likely to like the people we play with, and they throw endorphins at you. Great game design to start a new year. I'm in love. When you are a senior in high school you are making your college choice with almost no data about the potential outcomes of your decision. When I was picking schools I didn't know which would be best out of the hundreds of viable options. It was all guesswork and gut feelings. I'm happier with Simmons every day, though. I would have probably been happy anywhere because the cognitive dissonance would not have allowed me to spend thousands of dollars and hate my existence, but each moment at this school convinces me it was the right choice. It's never the things the school promotes as its features that make me happy, either. It's always the unexpected perks. For instance, 40% of undergraduate students in this school are going for some health profession. In my first semester I taught my mother to ask Simmons students, "Are you a nursing major?" instead of, "What's your major?" This fact means that everything at my school is clean. There are always trash cans by the bathroom doors so you don't have to touch the handles. The food is safe. The health center is good. The campus is fit. For someone who is conscious of those things it is really nice to notice the abundance of Purell floating around. I'm proud of how healthy we are in and out of the Sports Center. We do have excellent grad programs too. There are graduate programs in Library and Information Science, Nursing and Health Sciences, Management, Social Work, and others. They are academically rigorous and they are what make the college "famous" I think. Each day I'm happier and happier with our library school because we have a gorgeous library. Students from all around come to our library. It's not Harvard, but it's pretty stellar. That one great convenience can undue so many ills because I am a sucker for a good book. Finally, the thing that actually is an incalculable, unexplainable variable I never could have known about when I entered College was the community. Today I was studying in the common area with my laptop and books splayed everywhere. I was focused on finishing an essay. At that moment a young woman I'd never met before walked over to me and said, "Hey. My friend and I have been watching you from over there for a while and you seem really focused. We wanted to give you this cookie we bought from the bake sale to remind you to reward yourself." She handed me a cookie in a plastic bag and walked away. I ate it with a giant smile plastered on my face. It could have happened at any university in the world, but it didn't. It happened at my school because here from First Year Seminar and Freshmen Orientation to Senior Seminar they teach us to work together, accept each other, and become a community. I could never have known, but Simmons has a student body that cares for one another. I'm indoctrinated. I'm a believer. I love my college. I was observing a fourth grade class today and we were talking about the problems associated with growing plants in space. One person said they thought we could breathe in space if only we could float some algae up there. Not quite. A moment later the conversation had shifted and I heard a young man say, "Yeah I want to be a millionaire. Then I'll be really rich and can do lots of things. I think I'm going to achieve it by inventing something in science and selling it to NASA because they have a lot of money." There are so many things wrong with that statement. It's really hard to decide where to start. I think the first thing wrong with his statement is that he thinks NASA has a lot of money. It actually doesn't. They aren't even doing a space program right now. The politicians would like you to think they are funding science enough, but in my honest opinion they could generally be doing more. Next, this boy thinks science is the best way to earn money. I certainly encourage young people to go into the sciences, but the actual best way to earn money is to be a doctor. Anesthesiologists get something like $234,000 every year. Natural sciences managers get something like $128,000. So go to med school ladies and gentlemen. It is still worth the crippling debt. Perhaps the biggest problem was his misconception about the value of money. Is a million dollars that much money? Yes and no. You could certainly do a lot of things with it, but then it would be gone. If you want to never think about money again you are going to have to come to terms with the fact that the American dollar isn't worth very much. This boy had a cultural misconception that he could buy more than he actually could. Why? Big businesses told him so. I know this picture looks like an infinite regression that I created with Photoshop or a bunch of mirrors, but it's not. Surprisingly, this is a photo I snapped while we were in the new Wegmans Food Market during a visit to my brother in Rochester. It's so big. The store is shockingly, aggressively large. 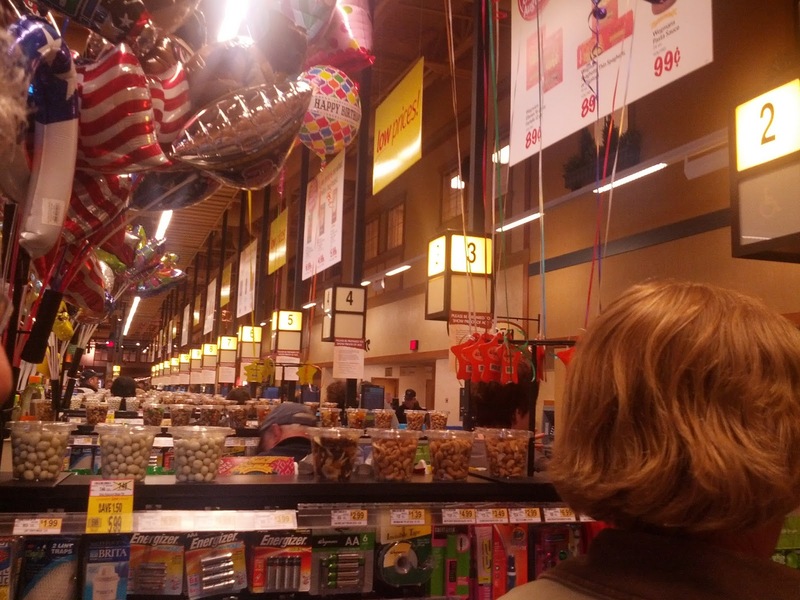 In my opinion, Wegmans falls into a category with Walmart as just an obscene store. Not only is it bigger than it needs to be (which I could forgive), but it is so unashamedly proud of its grotesque size that it markets itself in that disgusting Superstore way that almost makes you gag. Imagine if you were from Burundi (a generally pretty hungry country) and you just strolled into a store like Wegmans. You'd be nauseated by the richness that capitalism provides. I know Wegmans is a good company to work for (unlike Walmart) and I almost feel bad bashing them because they do good things for the communities they exist in, but there is a Wegmans coming to the Fenway area of Boston and even though I want to endorse it I can't. On a microscopic level it will provide jobs and give new food options, but on a more macroscopic level it promotes unashamed consumerism that causes little boys to think once they have a million dollars they will be set for life and happy. I don't want our children to think that. It's simply not true. I talk a lot about fairness on this blog. I have a whole post called Life's Not Fair and I've talked multiple times about the ways in which children, women, minorities, and just about everybody faces unfairness on this Earth. I want you to forget all that. I want you to forget that I had an opinion about fairness before this one. That's what I'm trying to do. This semester I've totally redefined the word fair and I'm trying to incorporate the new definition into my thoughts and actions. Previously I held fair as a word meaning that everyone has the same opportunities for success. I mistakenly believed that fairness was a road to equality. That must be wrong, though because all else being equal, it's not. I should have known, as well as anyone can know, that people are born into different circumstances. From biology to sociology people are born with with bad families, bad hearts, or mediocre brains. It's not their fault. It's not equal. I was brought up in a Capitalist culture that taught me fairness of opportunity was the only predictor of wealth and that anyone who tries can succeed. That's simply not true based on wealth discrepancies in our society. I could write books about fairness (and maybe I will some day), but right now I will settle for thanking my university for just helping me define the word in a way that makes sense. The dictionary definition of being, "free of all obstacles to success" is completely unfair. My new definition is better. It's stolen from special education and reads that, "Every person gets what they need." Just let that soak and stew. If we all followed this model of fairness then all the people who were sick would receive care and those that are sickest would receive it first. Students in school would get differentiated learning to help meet each of their own personal views. People would receive wages based upon actual standards of living. This doesn't actually sound like a utopia to me. It sounds like a slight modification on the world we know. This definition makes fairness feel achievable by recognizing innate difference and than catering to strengths. I think the greatest benefit of making fairness into an affair where every person gets what they need is that it reduces so much everyday guilt we all fight. You treat your children differently because one needs you more. It's only fair. You are able to go to college while your friends are not because you need that training for your job. It's only fair. You are alive because you have more to do. It's only fair. Maybe this is an oversimplification. I'm still working through it. I like it though. It feels better than the incalculable vastness of the other definition. At least with the special education definition of, "every person gets what they need" there is a place to start. Give one person what they need today. Help someone's life be a little more fair. I can do that. I have faith you can too. I feel like everyone has a few phrases that just drive them up a wall. On of my Dad's, for instance is, "That's the way it's always been." He can't handle it when people use that as a rationale to do things. I just use that as an example because it's on the blog. I'm sure you can think of things people say that you simply hate. I know most of mine. When I sat down for a meeting with one of my professors today I didn't expect she'd throw out any of these because she's so lovely, but she said the evil words anyway. I spent a couple hours putting together a hypothetical unit lesson plan for some imaginary students. I thought it was ok. Maybe it needed some tweaking because it was my very first attempt at creating a curriculum, but it met all her requirements. She handed it back to me and said, "This is far too ambitious. I don't think children would be smart enough to understand this." That's one of my phrases. Let's be clear. Children are smart. They don't have any life experience, they are uncoordinated, they lack some higher processing functions, and their language is not as sophisticated as an adult's vocabulary, but they are smart. Telling me children are stupid says more about you than the kids. If you think that children are stupid then they will behave like little idiots. You can't expect them to know everything, but you can't treat them like imbeciles either. I hear it in swimming lessons. I hear it in education classes. If you tell a child that they can't do something, even non-verbally, they will not do it. If, however, you tell them they can achieve greatness they will. All my five year-olds learn to swim four strokes because I tell them they should. If I can do it they can do it. My professor thought my expectations were high. They are. We live in a country of standards-based education. If fourth graders are supposed to learn how to compare and contrast the treatment of similar themes and topics in stories, myths, and traditional literature from different cultures then I don't see why I can't teach them that. It's not too ambitious to have expectations. That's what my professor forgot in her special education bubble. Sometimes you are allowed to set a goal that not everyone will reach. Once that goal is set, though, everyone will learn from trying to hit it. This is where my training from games comes in. A game designer revels in spectacular failures. They make hard boss monsters so that once players kill them they have actually accomplished something. If they can't kill it that's fine. Players know it's possible. That's what I want to do for my little friends. I want to give them big battles and the tools to fight them. I want to always tell children that they are smart and capable. Please. 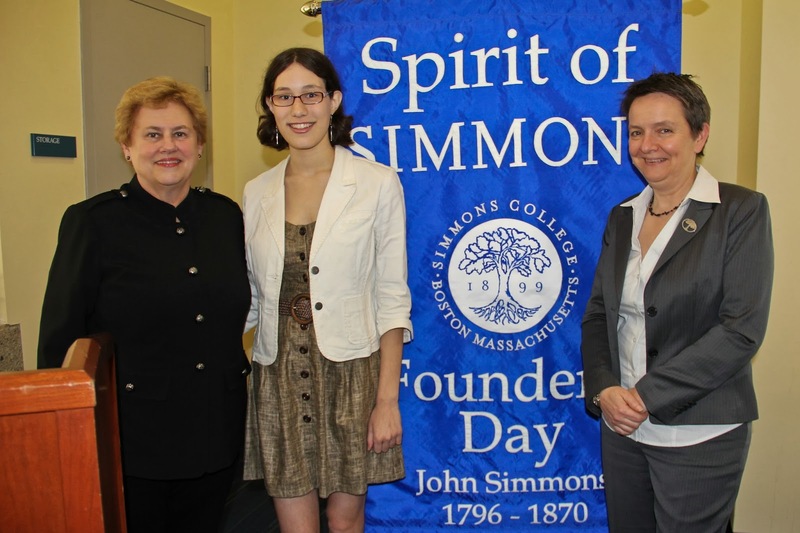 Please don't ever say, "I don't think children would be smart enough to..."
I gave a speech at Simmons College Founder's Day today. There were multiple requests for a copy of the speech. I don't see why I shouldn't post it here. So I will. When John Simmons died in 1870 and left money in his will for the Simmons Female College to be created the world was a very different place. Even in 1899 when the first students came to this institution the world was nothing like we imagine it today. People in history were not simply humans exactly like us, but in different clothes. No. John Simmons and his contemporaries thought in different ways, taught in different ways, and practiced a very different kind of study and scholarship from what we experience. John Simmons wanted to create a haven that would focus on, “educating women for an independent livelihood,” and in many ways Simmons still maintains his vision. We are still an all-women’s institute at the undergraduate level and we still mostly major in, “medicine, music, drawing, designing, telegraphy, and other branches of art, science, and industry best calculated to enable the scholars to acquire an independent livelihood," but women aren’t satisfied as easily today as they were in 1899 because we’ve had options opened up to us by our mothers, grandmothers, and great-grandmothers that those nineteenth century students couldn’t have imagined. We can do more than simply go for “independent livelihoods.” We can aim higher. We can be better. We can take John Simmons’ goal and make this an institution that includes all people from all social locations and gives them more than just an independent livelihood, but provides instead a launching pad to an individual happiness and an everlasting success. The modern Simmons student isn’t likely to accept a life of subsistence. The modern Simmons student expects this college experience to be more than entry-level job training. The value in a Simmons education is not just the job skills we learn, but also the life skills we inherit to help us meet each sunrise as another day in which to excel. We want to learn to think, grow, evolve, and pursue a greater happiness here. As Provost Katie Conboy said during her Convocation speech about the college, "we pin dreams and aspirations to it, personal ones and collective ones.” Our education here is valued by the people we become and the people we meet; it’s not just the science and math we learn and the modes we complete. The people we become are based on the professors we have and the administration that supports them. From first year writing to senior seminar we are encouraged to think a certain way, act a certain way, and be a certain kind of person that John Simmons might not have totally accepted. It might have been unfitting that a group of people who are female-bodied (“laidies”) are encouraged to be precocious, questioning, and unyielding. I know my friends at Simmons don’t back down. They don’t give up. They don’t settle for just independence. They want more. They want CEO positions as well as secretary jobs. They want to be nurses, but they expect the respect given to the doctors in that field. They want to be elementary school teachers as often as they want to be superintendents. They don’t want to be overlooked. They don’t want to be underestimated. They want to be powerhouses and politicians that revolutionize the world more than John Simmons and his ready-made clothes. The Simmons students I know are as adaptable to different positions as standard-sized clothing, but as varied as the cloths and patterns John Simmons, the tailor, used in his factories. Our challenge for the future as a college is to take this quilt of individuals and make sure that they each have an opportunity to reach beyond the independent livelihood of the past to the greater goals our advisers encourage us to seek. It’s a complicated thing to be a women’s college these days. I wouldn’t give it up. I wouldn’t throw away the unique opportunity and success we’ve gained as one of the US News and World Report “Best Colleges” or as the Number 1 MBA program in the U.S. with the Greatest Opportunity for Women by The Princeton Review. Being a women’s College gives us a community and reputation that I hope we never sacrifice. It’s one of the reasons our students are so strong and our learners are so passionate. We must remember, though, that although everyone here was cultured a female we are striving to be diverse and inclusive in our language and action. In the same way we are reaching beyond “independent livelihoods” to independent success we must also be reaching past our identity as a place that is solely designed for “educating women” to a place that is educating all the marginalized and underrepresented groups who need a place to prosper. I believe we can do this because I believe it the extension of John Simmons goal to help all people. Simmons is an American school funded by an American entrepreneur. It has always been a place for the underprivileged, who used to be women, to rise up, support themselves and be strong. Emma Lazarus is a woman whose poem “The New Colossus” became famous when it was was engraved on a bronze plaque and mounted inside the lower level of the pedestal of the Statue of Liberty. This poem was written around the time of John Simmons’ death and read, “"Give me your tired, your poor/ Your huddled masses yearning to breathe free/ The wretched refuse of your teeming shore./ Send these, the homeless, tempest-tost to me,/ I lift my lamp beside the golden door!" Simmons is like the Statue of Liberty. It’s a woman-centered place reaching out to people across the country and the world and offering them a better life. It relishes in its history, but always stands tall holding the torch of progress. I love this school because it memorializes the past without idealizing it. We recognize that women didn’t always have it great. They had to fight tooth and claw for their “independent livelihoods.” They had to use their male allies like John Simmons to just subsist. Now, though, my friends and I live out his legacy by exceeding him. We aspire to be better than the women John Simmons knew. We’ll be more industrious. We’ll be smarter. We’ll be more clever. We’ll be braver. We’ll fight battles and overcome struggles those nineteenth century women couldn’t have imagined. But most importantly, we’ll be the most independent group of alumna ever. That we can do. We are Simmons students after all. This weekend I went on an excursion to Long Island to visit my cousins with my father in his little plane. It was some of the nicest flying we've ever done because of the CAVU (ceilings and visibility unlimited) skies and severe clear days. Pteromerhanophobia is the fear of flying. It's not something I have. I'm probably the calmest flier you've ever met. Usually I end up sleeping because the sound of the engine makes me instantly soothed. 40% of people have anxiety about air travel. I know people that will literally not get in an airplane. Although it makes no sense to me to be afraid of flying I can try to be sympathetic. I know you can't logic your way out of phobias, but you can try. Here are a few things that are more likely to kill you than airplane crashes. This message is sponsored by Team Gnashblade for the Captain's Council. In a recent update to the game Guild Wars 2 there is an election going on. Arenanet has asked the players to decide which fictional character should be a leading member of the most important city in the game. That city, Lion's Arch, can either be led by the human Ellen Kiel or the Charr Evon Gnashblade. I am here to campaign for everyone to vote Evon Gnashblade even though Ellen Kiel is currently in the lead. I know that Ellen Kiel is offering reduced fees for one month for all waypoints, but I hope I can convince you that is a good offer, but only a temporary thing to bribe you for votes. There are many reasons you should vote for Evon and I can't make him win alone so your support tokens are appreciated. Reason 1- Evon is a freaking Charr. 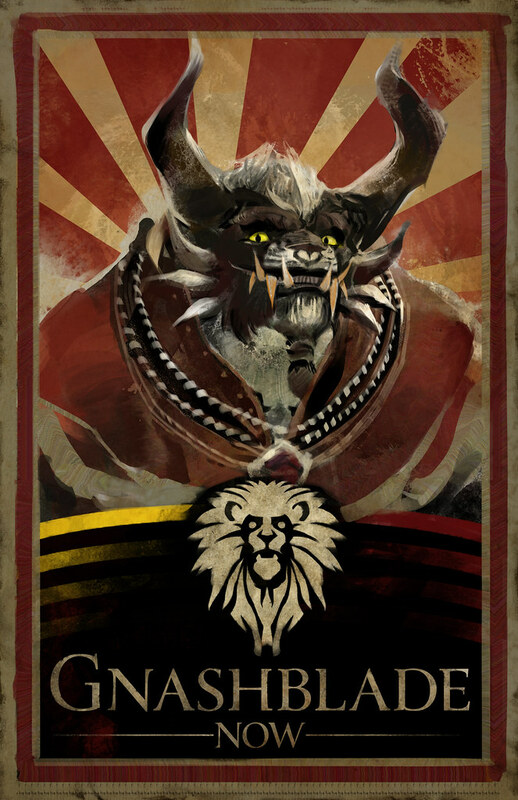 I know that Lion's Arch is a city for all people and we shouldn't be racist in its borders, but Charr are cool whether I'm aloud to think that or not. Ellen and Evon have both overcome great difficulties in their lives just as I have, but Evon is more ferocious just because of his upbringing. You don't grow up a Charr and lose. They're great because they never fail to get what they want. They conquered Ascalon from the humans in just the same way Evon will usurp this position from the ape Ellen Kiel. 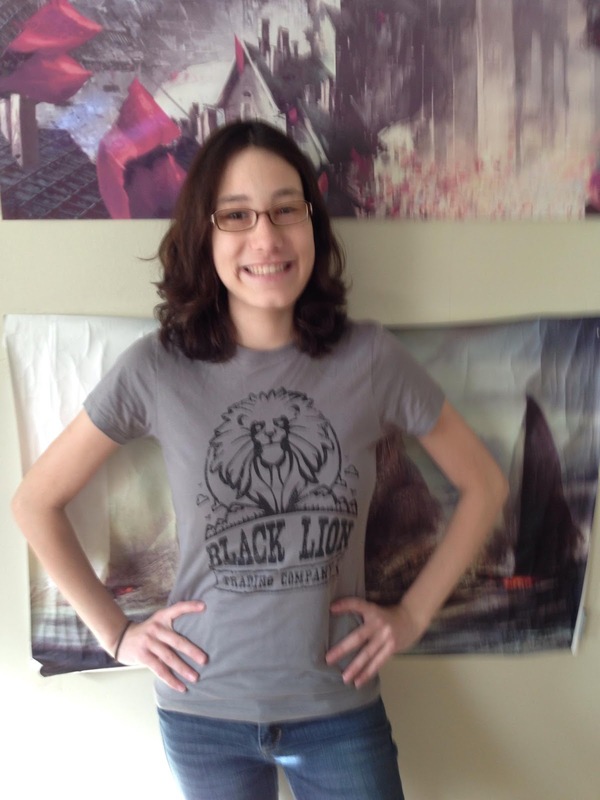 Reason 2- Evon runs The Black Lion Trading Company. I don't know if you remember, but I named The Black Lion Trading Company during my Make-a-Wish trip. I never thought it would grow to the point it has. I didn't think it would be the basic trading system in the game. I didn't think it would get so much lore about the current and past leaders. I never could have imagined that it would have competition from such sketchy individuals as the Consortium. Now it completely blows my mind that the leader of the Company could be one of the leaders of Lion's Arch, but that is something I really want to happen. Reason 3- Ellen Kiel has been out of town for months. Since May 14th she has been investigating events in Southsun while Evon has been primarily in Lion's Arch promoting trade. She is out of town and out of touch. The events on the beach were important, but people on the Captain's Council have had to split their time between personal matters, world events, their ships, and city concerns since the founding of Lion's Arch in the 1200s. In recent history Ellen Kiel has been remarkably bad at this with her extended trips to the beach. Evon has been much more focused and present. Reason 4- The Game Director Colin Johanson says to vote for Evon. Well he only partially endorsed Evon as a candidate, but the internet doesn't care. When the legend becomes fact, print the legend. The legend that Colin has endorsed Evon has become fact so I can officially say there are reasons we don't know (that the gamemakers do) as to why we should vote for Gnashblade. Reason 5- This is the most important. Abbadon. Wooden Potatoes explains this better than I ever could and it takes him quite a while to do so, but there is a lot of lore in Guild Wars about a god called Abbaddon. If you vote for Evon we get to see some of that lore. There was a big fight in which five gods banished the sixth, Abbadon, to a place called the Realm of Torment. It was a massive battle that occured in a sea battle with a group of people called the Margonites. It was massively scaled and turned the Crystal Sea into a beautiful, but dangerous location called the Crystal Desert. I want to go there explore really cool places like the Malafarium in the Atrocity Library. I play Guild Wars games because they have good story as well as good mechanics so please allow me to experience this rare piece of lore. It will be amazing. I promise. A vote for Gnashblade is a vote for progress. I hope you'll agree with me and throw all your support tokens in for Evon. It is imperative that you do this quickly because voting ends this week and the race is very close. Every vote counts. I'm going home to Queensbury from Boston in about a week. Right now I'm missing everything about where I live. I was born in Boston and I like it here, but it's not my home and I can't imagine it will ever soothe me in the way the plot of land I grew up on does. My home is brilliant. It's a farm in a city. We have a barn and a house made of brick, but I could ride my bike to Stewart's to get ice cream or milk for breakfast. We have forests, mountains, rivers, lakes, and cities. When I go home I feel local. People not only know me on sight, but many people know my grandfather and my great-grandfather and they judge me positively because I come from a good family. The longer I stay in Boston the more I brag about home. After a few months without a swim in Lake George and a trip to Saratoga Springs it becomes almost a magical land in my imagination that will solve all my problems. The lake gets cleaner, the house gets older, the snow gets thicker, the garden gets bigger, and the barn gets redder the more I stay away. I'm sure it becomes ridiculous and hyperbolic, but the people around me never complain about the way I portray my home. None of my friends from Boston have ever been to my house so I can make it sound as spectacular and fanciful as I want and they can't call me on it. I want to bring people home and show them how fantastic life is where I grew up even though I know that they wouldn't see the same things in it I do. They'd see the barn and think it's quaint while I look at it and see my whole family history. We'd go out to eat and they just wouldn't have the same memories of the Harvest pizza or Martha's ice cream to be nostalgic about. Whether I took my Boston friends to the spectacular Adirondack Balloon Festival or the representative, but dubious Americade they wouldn't understand my feelings about the events. When I talk to people about my home they assume it's just another farm in some corn field, but it's not. It's a desirable location that people travel the world to visit and I was lucky enough to come from there. I haven't been able to convince anyone from Boston to come see where I come from, but I want to share it so they understand me just a little better. Places are a part of you. I want to share my whole self with certain friends and I feel that won't be complete until people see my farm. I'm sure most people feel about their home the same way I do, but my house really is a very very nice house. I would live there forever if I could. If I didn't have career objectives and a crippling inability to drive (get on it Google) I would move home in a heartbeat and never leave. My parents are cool and they throw great parties. I like being in a place where everybody knows my name. Someday, maybe, I'll be able to really go back home, but for right now I have to accept that three weeks in August is really plenty of vacation. In the epic science fiction television show Doctor Who the main character (called The Doctor) travels through space and time with the help of his trusted companion. The companions change occasionally. They get killed, The Doctor abandons them, they chose to leave choose, their memories are wiped, or they are otherwise disposed of, but the Doctor's companions never stay forever. I knew this about the show long ago, but I have a small emotional stress about it every time The Doctor changes companions. My boyfriend and I both enjoy this television show so we re-watched a few old episodes for fun. Eventually, though, I told him I wasn't up to date on the newest season because I know the current companions, The Ponds, are going to not be on the show anymore. I don't know exactly how it happens, but I know which episode it occurs in and I've been avoiding watching the series to avoid that moment where there is no more content with some of my favorite characters. We got into a large debate about the logic of this. He was arguing that they had already been eliminated from the series and I was living in an unnecessary state of unease about a competed event. I was arguing the point that it was fine because as long as I didn't experience the loss of these characters they were alive in my imagination and I could keep them existing forever. We couldn't agree on that, but we did agree that "forever is an incorrect concept" (as John Green proposed) not only because the sun will explode and the universe will die a cold death when it expands to the point where nothing is interacting, but also because time probably exists outside human observation of its passing. With that I decided I could watch because I didn't have forever to do it. It makes me think about the way I put off sad or difficult things in general. Any time I have to disappoint someone I can't write them an email or call them up and let them know. It would almost certainly be better if I did it earlier, but I never would be able to logic my way out of it. We're trained to avoid pain and it's so challenging to make yourself do stressful things that we don't do them. I hope in the future I can look at this and remember that sometimes The Ponds are already dead.